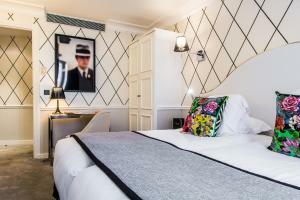 Hôtel le Royal Rive Gauche is located in Paris, a 7-minute walk from Luxembourg Garden. Decorated in a traditional and elegant style, this hotel offers a shared lounge and air-conditioned rooms or suites. 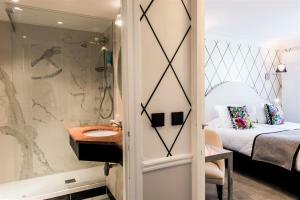 The soundproofed rooms and suites at Hôtel le Royal Rive Gauche include a minibar, a safe and a flat-screen TV. The bathrooms are fitted with free toiletries. A buffet breakfast is served daily in the modern-style breakfast room. All types of restaurants and bars can be found within walking distance. Additional facilities are included such as free Wi-Fi access, luggage storage and an airport shuttle is available at a surcharge. The accommodation has a 24-hour front desk. 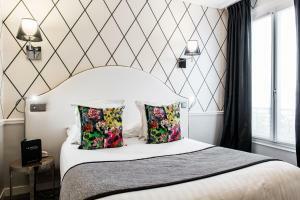 The hotel is 2 km from Notre-Dame-de-Paris Cathedral, 2.1 km from Louvre Museum and 2.1 km from Orsay Museum. 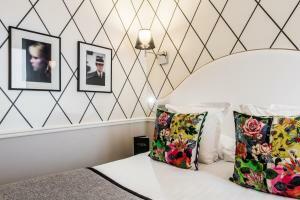 Montparnasse Train Station is 800 metres away and provides direct access to Porte de Versailles Exhibition Centre and the Eiffel Tower. This soundproofed suite offers air conditioning and cable TV. The private bathroom is fitted with a bathtub and a separate shower. free toiletries are included. 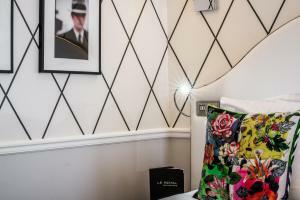 Decorated in a contemporary style, this soundproofed suite overlooks the courtyard. The bathroom is fitted with a bathtub and a separate shower. free toiletries are included. This single room features air conditioning and soundproofing. The private bathroom is complete with a shower. Rate: € 104.00 ... € 320.00; select dates below to get current rates. This twin/double room is soundproofed and offers cable TV, air conditioning and a private bathroom with a bath or shower. This individually decorated rooms are soundproofed and offers cable TV, air conditioning and a private bathroom with a bath or shower.